Peter Marchel is President and Founder of Marchel & Associates Risk Consulting. Types of the services offered: Risk review and consulting, broker review and selection, insurance policy review, analysis, and placement, program development, insurance management issues, policy enforcement, claims advocacy and expert witness testimony. Peter has more than 24 years experience in Legal and Insurance matters. His back ground is unique; from working on Insurance Opinions as a former Law Clerk to Chief Justice Keith M. Callow of the Washington State Supreme Court, to arguing insurance cases before the court on behalf of both defendants and plaintiffs as a Trial Attorney. His experience as in-house Counsel and General Counsel for both insurance companies and insurance brokerages has brought a unique and valuable perspective to his clients. Peter consults with clients and their counsel on complex claims, as well as assistance with policy language, structuring program audits, and development of financial risk solutions. Peter uses his experience to assist clients with placement of their policies as well as helping clients when they are in claim situations. Peter has helped insured’s recover over $35,000,000 in claims after they have initially been denied. Peter has developed D&O programs for over 200 different publically traded companies in the United States and Canada. Prior to becoming involved in the production side of the insurance business, Peter was Senior Vice President and Claims Advocate for Marsh, Inc. which acquired Sedgwick Inc. Prior to the acquisition, Peter was Assistant General Counsel and Director of the Professional Liability Risk Management and Litigation Department, for Sedgwick Inc. He was in charge of all litigation in North America. Before joining Sedgwick, Peter was in the Litigation and Corporate Legal Departments for nearly seven years at SAFECO Insurance Company. During his time in the corporate legal department his responsibility was to oversee bad faith and RICO litigation against the company. During his time in the litigation department he carried a full trial case load while assisting in managing the five legal departments and implementing TQM within the trial department. Peter helped develop the training curriculum and trained over 400 attorneys to serve as mediators in the greater Seattle area and another 300 attorneys in the Inland Empire in California for Settlement Now. Settlement Now was a pro-bono mediation program created and sponsored by Kenneth LeMaster, Vice President and Associate General Counsel at SAFECO Insurance. Prior to coming to SAFECO Insurance, Peter was in private practice. In 1988 – 1989, Mr. Marchel served as a Law Clerk to the Chief Justice of the Washington State Supreme Court, Keith M. Callow, prior to entering private practice. Peter holds numerous insurance designations (RPLU, CPCU, AIM, and AIS). He earned a Certificate in Total Quality Management from the University of Washington. 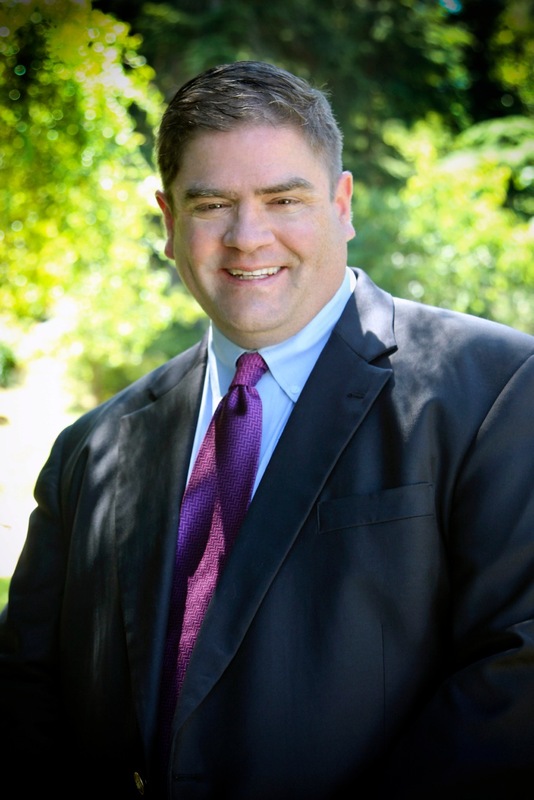 He received his Law Degree, (JD), Master of Business Administration for Business, Government and Not-for-Profit Management (MBA) and a Certificate in Dispute Resolution (CDR) from Willamette University. His undergraduate degree is from the University of Washington, with a BA in Political Science and Communications. Peter has served both as President and on the Board of Directors for the Local CPCU and Association of Corporate Counsel professional organizations. Peter has also taught Finance, Investments and Insurance Law at the College level at Crichton College, in Memphis, Tennessee, where he served as an adjunct professor. During the past 24 years, Peter has participated in or presented dozens of times to local, regional and national organizations such as: ABA (American Bar Association); ACC (Association of Corporate Counsel); Washington State Bar Association; PLUS (Professional Liability Underwriting Society; CPCU (Chartered Property Casualty Underwriting Society); FEI (Financial Executive International); National Business Institute; Segal Graduate School of Business, Simon Fraser University; (NACD) National Association of Corporate Directors; and the Directors Roundtable. Peter has served as an expert witness for both defense and plaintiff firms in State and Federal Courts around the United States, on insurance coverage and professional liability matters. Peter articles are in the works.